There are many myths about selling a home. Here are five of the most common and pervasive beliefs. This is a strong “seller’s market” and prices are still increasing in all areas: Contrary to some news reports of continuing increases in real estate values, many areas are showing signs of a market in steady transition toward favoring buyers. Even where higher prices have recently shown as compared with this time last year, the rate of increase has slowed substantially, and in fact looks to be flat already in some neighborhoods. Because real estate values are now very geographically neighborhood specific, the strength of the market can vary greatly depending on the price range and the “absorption rate.” This is the relationship of number of sales vs. the available inventory at that time in that neighborhood. The Palisades alone has a dozen different neighborhoods. Setting your home’s list price 10% higher than it is worth is a good strategy because it gives room for negotiating: If a home is priced too high and remains on the market for some time, it may become perceived as “stale” and buyers will usually tend to offer far less. There are some definite pricing guidelines we share with clients that will minimize that risk and still allow for room to negotiate. You get back more than you spend on major renovations: In fact, surveys show that sellers rarely get back more than 75 to 85% of the cost of significant upgrades. Moreover, if the upgrades are too specific in style or compromised in quality or suitability, there may be even less of a return on investment. However, carefully selected minor improvements in preparation for marketing can easily return more than two to three times the investment as well as shorten the time it will take to sell. A local real estate professional who has sold dozens of similar homes can provide guidance for the most cost-effective changes. You have nice furniture so there is no need to stage your home: A skilled stager creates an “environment” that helps to evoke a more emotional and positive appeal for buyers, especially the type of feeling that most buyers have now come to expect when viewing a home. Sometimes the placement of various furnishings or the combination of accessories can make a significant difference in how the home feels even if those changes are quite small or subtle. All real estate agents are basically the same and provide similar services: There can be enormous differences between various real estate agents, even in the same community or same office. All agents will provide the same basic marketing such as putting the listing in the MLS, posting a sign and scheduling an open house for agents to preview the property. 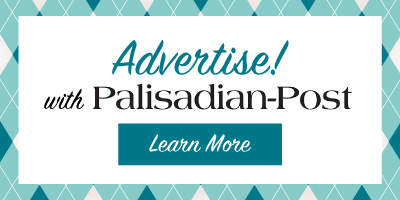 Most will also host an open house for the public, and their company will provide at least a couple of local newspaper ads. However, some agents provide a much more vigorous plan of action to help give your property maximum exposure in print and online, and a few are willing to provide continuous and broad marketing of the listing for as many weeks or months as it might take to get it sold. The differences between agents can have a significant impact in the negotiation and escrow phases, especially now that the market is no longer a strong “seller’s market.” For example, agents who have far greater expertise in negotiations will often attain 1 to 4% higher prices for their clients that can offset a significant amount of the transaction fees the seller will have. Also, agents who have handled dozens of sales will likely be more resourceful in helping resolve issues that arise during escrow, and thus better skilled in keeping your escrow from falling apart entirely as happens 20 to 25% of the time. 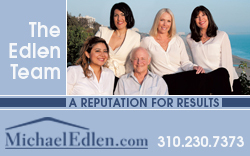 Michael Edlen has sold nearly $1.5 billion, 1,400 homes and provides counseling to more than 200 prospective clients every year. More information is on edlenteam.com, and he can be reached at 310-230-7373 or michael@edlenteam.com.